The Mazda Protege was a compact passenger car that received much of its fame in the U.S. from 1989 to 2003. A DOHC 2.0L engine was what powered this automobile and the mid-line price point of the Protege made it a competitor to many Ford vehicles that used the same engine. The Protege was one of the only cars in its class to hit well above the 100 horsepower mark. We have these Mazda Protege 2.0L engines for sale in our warehouse. Buying used and remanufactured engines are a great way to save you money. You will find that our inventory has the Mazda car engines that you need. Due to worldwide popularity of the Protege, we are able to offer our customers big discounts on the 2.0L engines. 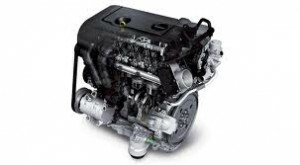 Our engine buyers know everything to know about Mazda engines. Some of the things that we search for include engines with lower miles, clean external appearance and hose and wiring attachments. When we find engines that are complete, we buy them and either sell them as used or perform the remanufacturing process to make them new. You don’t have to settle for an engine that is left out in the elements and that can never be driven past 100,000 miles. Our Mazda engines are a great investment. We still find it hard to believe that many engine dealers provide no warranty protection for what they sell. This type of service is usually an indication of what you will get when you buy an engine. Our company uses a very different approach. We give you a great engine and include, at no cost to you, a complete warranty for your 2.0L engine. We don’t hassle you or try to restrict your habits of driving during ownership. We guarantee to fix OEM part problems or something with our labor in the time period covered by the warranty. It’s not complicated to understand and is totally designed for your protection. Our Mazda Protege 2.0L engines for sale are equipped with new parts to extend the life of these remanufactured engines. You should have no problem putting on any amount of mileage during your ownership period. What we build is high quality and designed to give you the longevity similar to a new engine. When you take care of an engine, it will last for many years and need no type of repair or special service due to irregular maintenance. Our engine experts put all the necessary time into rebuilding each Mazda engine making it totally flawless and ready for a quick installation. Our prices are affordable and many of our customers are from referrals from existing customers that are pleased with our engines. Our Mazda quote process is simple. Call 1-877-630-3873 and you will talk directly to our quote team. These professionals take your engine information and put it into our database to find you the lowest 2.0L engine price. Use the Mazda quote form on this page to get a quote sent to your email inbox. It’s fast and really easy to save money buying Mazda Protege engines at www.carenginesforsale.com.